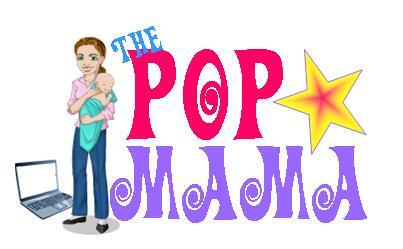 Pop Mama: It's Spring Baby! First, congratulations to one of my favorite celebs, Reese Witherspoon on her third pregnancy! What an exciting time for her and her new husband. Reese is 36 and has two children from her marriage to Ryan Phillipe. I wish her the best. It is spring again and I feel like babies are everywhere...people are either pregnant or giving birth. I have three friends who recently gave birth to their first children and it is so fun to check out all of the pictures on Facebook. What is going on in my world? Well, I'm not pregnant, but I am parenting. 7:10am - Tuesday morning on way to daycare and work. "Mommy, Mommy, Mommy, Mommy, Mommy, Mom--"
"Yes, you are wearing your coat." It's actually a hoodie, but I'm not going to split hairs here. "Yes, that is your shoe. Very cool." Silence for about 5 seconds. "Mommy, Mommy, Mommy, Mommy, Mommy, MOMMY!" "Yes, that is our baby. Is he sleeping?" "Okay." Looking back into the jerry-rigged mirror that doesn't quite fit correctly in our SUV, I see that the baby is indeed "seeping," slumped over, with his head hanging precariously over the edge of the carseat. I immediately feel bad that I can't reach him to tilt his head back and then forgive myself by remembering that Cam did the same thing and he turned out just fine -- a little loud and demanding -- but just fine. This has been life recently. Two boys, one chattering all of the time and asserting his independence ("No bed." "No house." "No Milk.") and the other just smiling and playing with his feet. I love it. When I consider the "are you guys having any more kids?" question, my heart says "absolutely," my head says "not for loooong awhile," and my husband says "we'll see." The point is that no matter what kind of day or week we are having with the kids, we enjoy every second (sometimes in hindsight). 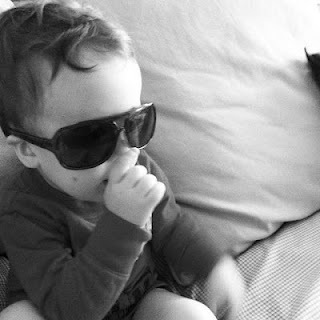 I am so very thankful for my healthy boys and being a parent has taught me to not sweat the small stuff. It is so cliche, but true. The other day I found myself fretting about some stupid work issue and I had to talk myself down by reminding myself that I could die at any moment and what really matters are the relationships I have in life...not the neighborhood I live in, not whether I have the newest iPhone, and not whether there are crumbs on the floor and dishes in the sink (because there will always be). Great post! Love the updates on the boys.